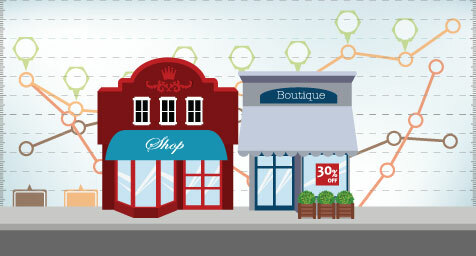 Can Your Small Business Benefit from Big Data? You may be familiar with the phrase, “big data” and thought it was only for big companies. But investing in data and learning how to use it can have big benefits for your small business. A recent study featured in the Harvard Business Review suggests that it’s worth overcoming the obstacles that stand in the way. For starters, gaining access to consumer data can be expensive. Learning how to use it effectively can take time and expertise many small business owners just don’t have. Another potential obstacle is the mindset of small business owners. Most are used to making intuitive marketing decisions based on their past experiences and random consumer information. For instance, when asked to produce a line of ready-to-eat meals, one business owner simply looked at similar products on the market and attempted to copy them. So how could using data overcome these obstacles and improve business? Funding from a regional government agency in the United Kingdom enabled several small businesses in Northern Island to use loyalty card data from the Tesco supermarket chain free of charge. These companies, each with seven to 45 employees, sold dairy products, baked goods, vegetables, and desserts to Tesco. The data provided included consumer life stages and lifestyles, purchase analysis, and the best-performing locations for the small firms’ products. The owners and managers of the small businesses in the study were encouraged to attend workshops, where analytics experts worked with them to help mine the most relevant data and analyze the information. The companies hoped to find insight into questions such as how their product category was performing as a whole, and who were the customers that bought competitive products. Once they were given access to the data, the small businesses were able to look at innovations from a long-range perspective instead of just reacting to their competitors and retailers in the short term. One business owner said the data had altered his company’s ideas about how to grow its consumer base. Another, a yogurt manufacturer, gained new insight into their target customers. They learned that older adults were a key market for their products. So when the company’s representatives set up store tastings, they focused their attention on older patrons and improved the results of the event. The small businesses also became more entrepreneurial. Many owners and managers shared the data with their employees and encouraged them to contribute their own ideas. The business owners didn’t abandon their long-standing competitive advantages—being close to their customers and having the ability to adapt quickly to market conditions. Instead, they used the data to complement these strengths. The final takeaway is that small business owners should become aware of how the government and universities provide opportunities for funding and expertise so that they can capitalize on the coming age of big data. Discover the difference big data can make for your brand. Contact MDG Advertising today at 561-338-7797 or visit mdgadvertising.com.